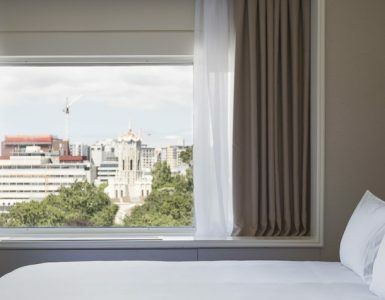 Pullman Auckland is pleased to announce the appointment of Veronique Delattre as the hotel’s new General Manager, effective as of April 2018. Originally from France, Veronique’s hotel career spans 20 years, including major international stints working for AccorHotels in United Kingdom, Russia, Poland, Vietnam and Malaysia. Veronique first joined Accor Hotels in 1998, and has management experience across several AccorHotels brands – Sofitel, Pullman, Novotel, Mercure and Ibis. Her impressive journey working across markets and brands cements her leadership and vision. Veronique is passionate about sharing her knowledge, and inspiring teams to ensure the ultimate guest experience. “I’ve lived and worked in many countries, and embrace the challenges and rewards that come with each experience. This desire to see and experience the world has enabled me to share that knowledge with the talented people around me, and ensure memorable experiences for our guests,” says Veronique.